View details about the Skipton registration office at Belle Vue Square. Parking is available at the pay and display car parks in Cavendish St or the supermarket directly opposite. There are spaces for blue badge holders at the rear of our building. 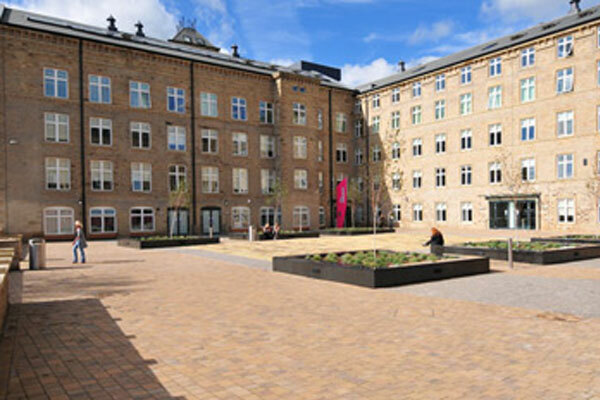 Belle Vue Square is a refurbished mill in the market town of Skipton. There are two modern rooms for ceremonies. The Staincliffe room seats a maximum of 20 guests whilst the extendable Belle Vue Suite can host from 30 to 110 guests. Guests use the front entrance where there is a waiting area with seating. Parking is available at the pay and display car parks in Cavendish Street or the supermarket directly opposite. There are spaces for blue badge holders at the rear of our building. A ceremony car may park around the back of the building, where the bridal party can enter the Victoria room which is set aside for your use prior to the ceremony. The front piazza offers excellent photographic possibilities and you are welcome to throw your biodegradable confetti. There is access to the canal side from steps at the rear of the site for photographs or you could even arrive/leave on a boat! The building is disabled accessible and there is one toilet available on site.